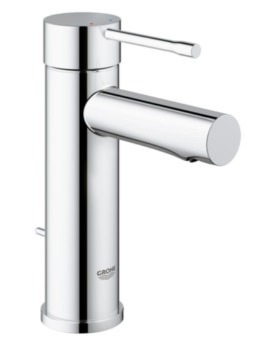 The Grohe Essence New 3 Hole Basin Mixer Tap is ideal for those who are attracted by clean, simple, visually pleasing design that helps to infuse aesthetics into the room without pretension. 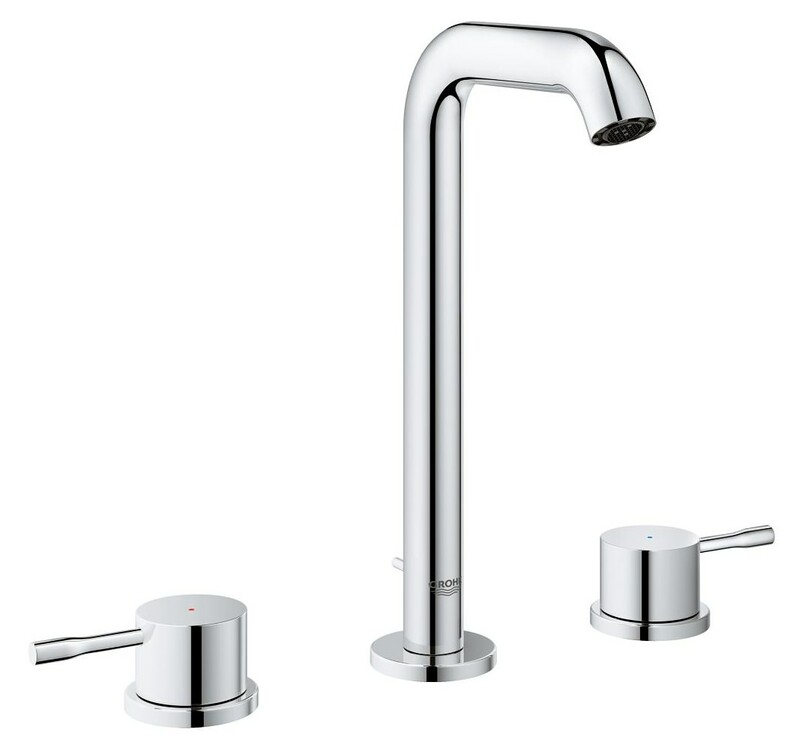 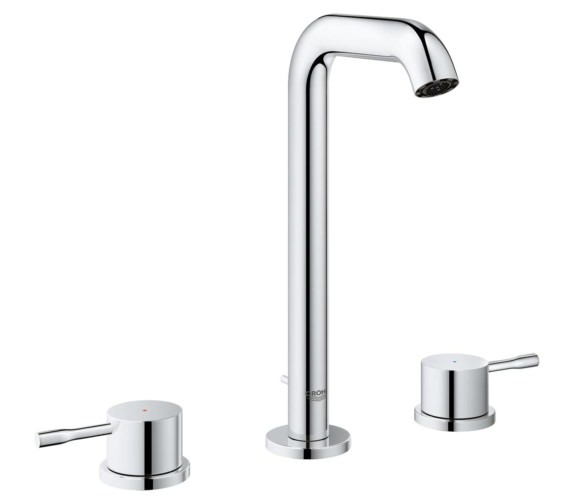 The minimalistic design with the L-shaped spout in the centre and two diminutive handles on either side employs modern technology and is a feast for the eye. 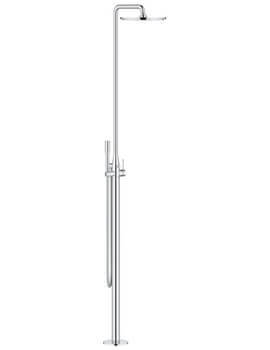 The hot and cold feeds are operated by the two sleek looking handles with clearly marked colour indices. 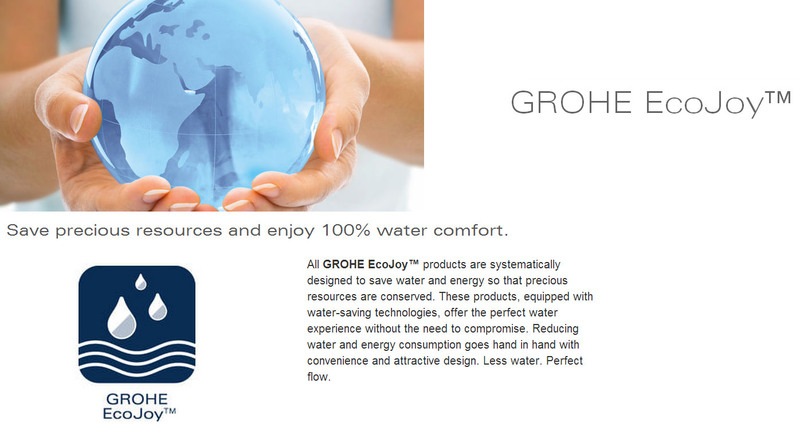 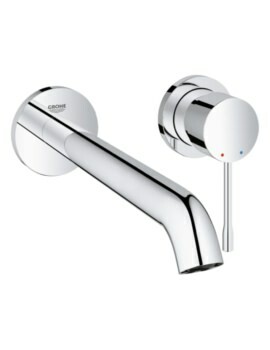 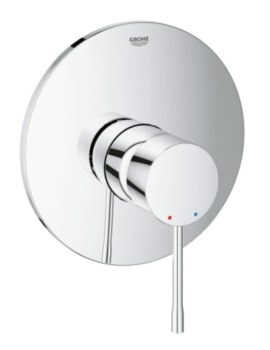 The EcoJoy mousseur fitted with the unique, integrated water saving technology allows you to save water and energy consumption. 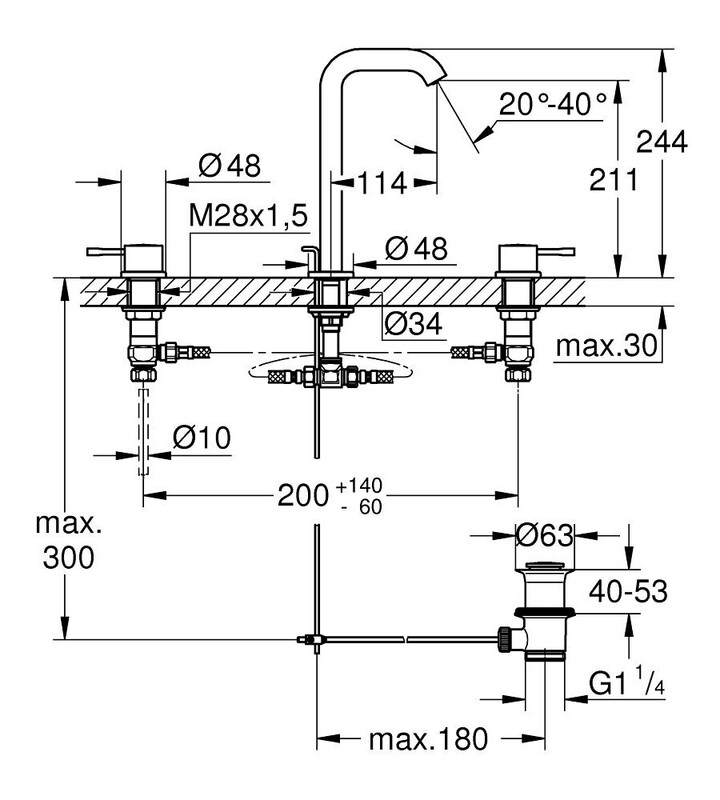 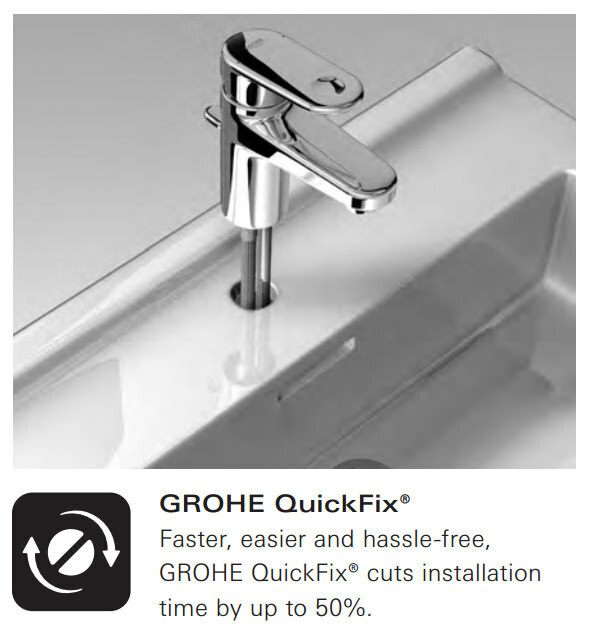 The QuickFix installation system enables easier, faster and hassle-free installation. 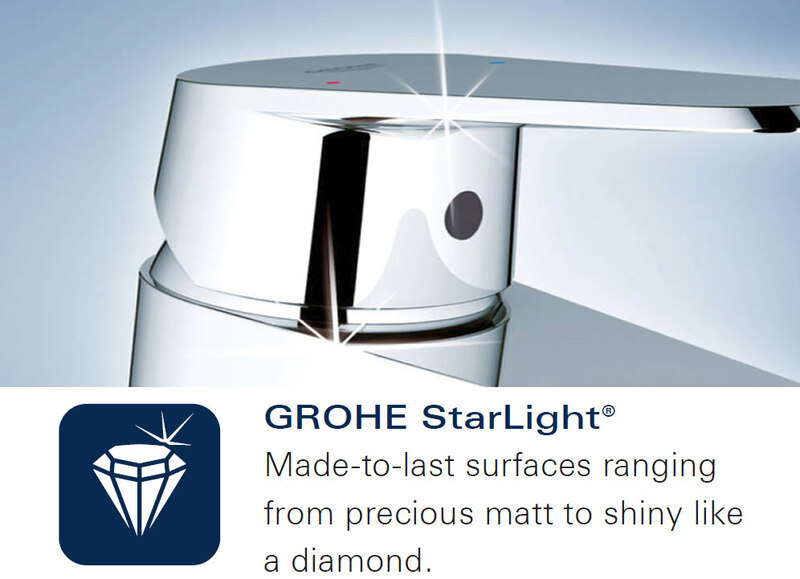 The StarLight chrome finish ensures the finish has a brilliant shine that lasts for years.